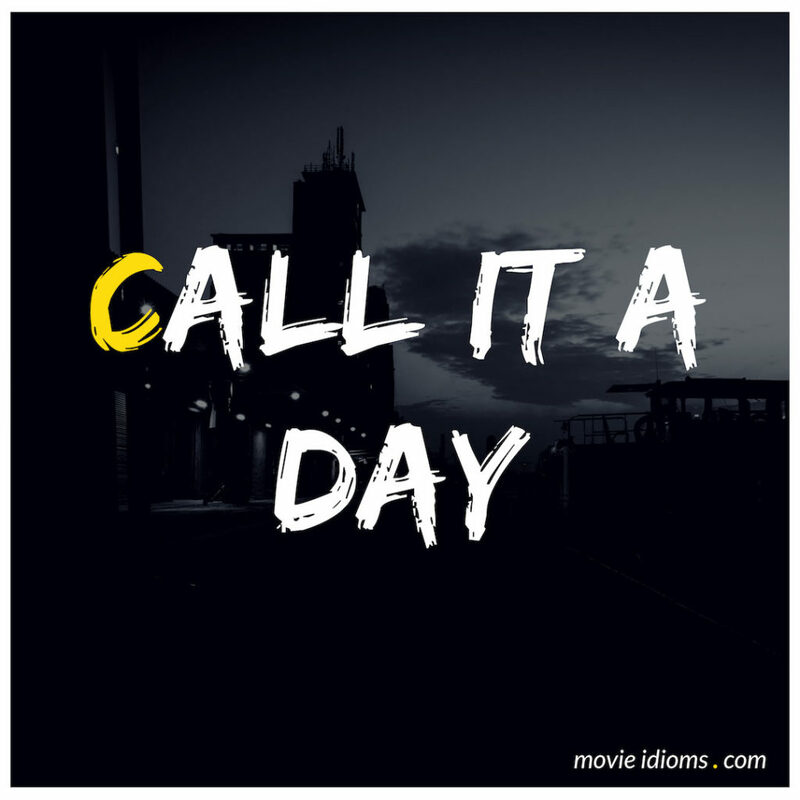 What does call it a day mean? Porter: You’d think after five months of lying on my back, I would have given up any idea of getting even, just be a nice guy and call it a day. Nice guys are fine. You have to have somebody to take advantage of, but they always finish last. Michael Scofield: Well, you’ve got one up on me, Warden. You know why I needed to file those motions, but I have no idea why you needed to transfer me. Warden Henry Pope: Traffic control, Scofield, that’s all. Traffic control. Look, it’s coming up on five o’clock. What do you say we call it a day? Michael Scofield: I don’t think I can do that, sir. Warden Henry Pope: Why not? Michael Scofield: If I let go of this support right now, the whole thing’s coming down. See, the Taj was designed using axial force. A series of internal forces along the longitudinal axis. Mr. Hyde: I’ll bet they bloody would. Van Helsing: Personally, I’d rather just kill you and call it a day. But let’s make it your decision, shall we? Mr. Hyde: Hmm, do let’s.